The large retail stores, including Farmers and the Warehouse had shifted the retail centre away from the old CBD. Online shopping has hit local retailers hard. Small business are struggling. Closing streets for pedestrians doesn't generally work with smaller cities as there is not the population to support them and retailers suffer. Current bus stops situated outside the movie theatre, library and museum are problematic. Wachner Place not well sited, or designed. Covering a street, such as Esk Street, is too expensive. Although we have attractive heritage buildings, many are structurally unsound. Little in current inner city for children or youth. Main restrooms on outside edge of main shopping area problematic and few seats provided in inner city. Our major hotel complex (Ascot Park) is on the outskirts of the city. Turn Wachner place into a bus stop, ideally situated with toilets etc and close to central city accommodation. This could be used for inner city and intercity buses. 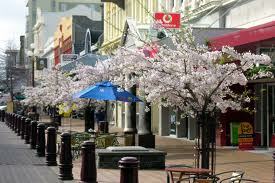 Focus on inner city being more for boutique shopping, accommodation, culture and recreation. A purpose built market area for our Farmers Market and buskers etc. Ensure any future hotel development occurs in the city centre and include ample parking. A high quality skate park sited closer to the centre and perhaps a Chipmunks style facility for older children and youth (I have seen an excellent one in the UK and it was very popular). Young people are less likely to get into antisocial behaviour if they have interesting things to do. 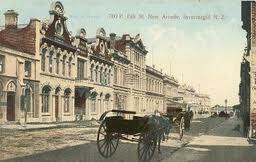 Add interest with something like horse drawn trams, these existed in Invercargill longer than in most cities and are part of our heritage. Make the inner city more bike friendly. Rather than a Museum rebuild on current site perhaps shift to inner city. Many vacating stores be converted into carparks or green spaces. Connecting alleyways made more interesting and attractive. Make Otepuni Gardens more of an attraction, perhaps developing more recreational facilities around them. Use strategic tree planting to provide shelter from our occasional windy weather. Ensure that any older buildings that are demolished are replaced with ones that are well designed and add interest. Now that SIT has taken over much of the inner city there are opportunities to provide more to support a student population. Apparently we have a larger proportion of mature students (mid twenties) than many other tertiary institutions. I thought many of the solutions supported "green" thinking. Our urban environments need to be future proofed and designed to cater for all ages. If the environment is attractive, stimulating and easy to inhabit it is more likely to attract people. A certain amount of frustration was expressed by Bob Simpson, who felt opportunities for such talkfests had been occurring for some time and we should just get on with presenting a plan so that we finally have something more concrete to engage with. I am inclined to agree with him as unless you have experience in inner city planning, most people have limited experience or knowledge around what is possible. Let's get someone like Kobus and his team to put something together so we can all see the potential and possibilities for our inner city. What is the plan for private property? There was no plan, just preliminary discussions. There was talk about the difficulty of absentee landlords who don't invest in their properties to make them attractive to rent. There was also talk about the burden placed on property owners when expectations around keeping historic buildings were beyond what could be financially supported. What do you think should be considered, Shane? Property rights should be considered. I don't disagree with you Shane, but what should constitute property rights? Should an individual owner have total control over their property or do they have some community responsibility around heritage values. Should property owners have to conform to a plan that could bring joint benefit (Napier benefits from the Art Nouveau theme for instance). I guess there is always a balance needed between individual rights and freedoms and collective responsibilities. i don't have an answer for this and neither does the inner city plan...yet. You guess wrong sir, and in one paragraph reveal your contempt of property rights.